The Man Without Fear, otherwise known as the comic book superhero Daredevil, seems to finally be earning some respect. The new Netflix series has generated mostly good reviews and, based on the first few episodes I've seen, has done justice (pun intended) to the blind attorney by day / masked vigilante by night. 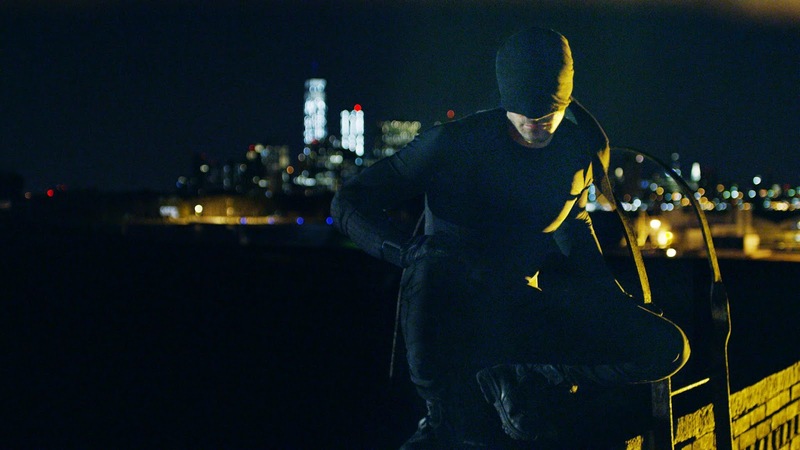 The show kicks off the action right away after a brief but effective origin prologue, showing how Matt Murdock lost his sight during a toxic accident as a child (comic book readers didn't need any further explanations and neither do Netflix viewers, but we probably will delivered some in future exposition). The accident also enhanced Matt's other senses, and as other superheroes before him, he felt the need to use his gifts to battle the scum and villainy of his neighborhood, New York City's Hell's Kitchen. That first action scene I mentioned was fun and to the point, showing Murdock as Daredevil. We didn't have to wait to see him train and pick out a costume or learn to control his powers (although flashbacks of that requisite hero's journey will come). We're thrown right into the best part of superhero adventure stories -- the good guy outnumbered but still whupping the bad guys and protecting the innocent. The initial costume is reminiscent to me of the black ninja attire worn by Rex Smith as Daredevil in The Trial of the Incredible Hulk. 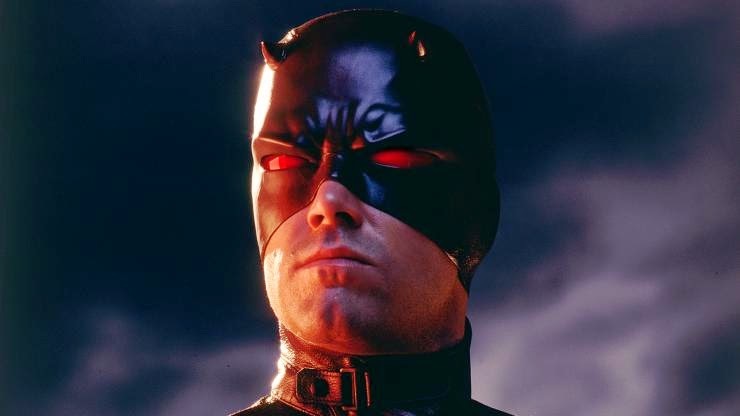 I know it's supposed to be an evolution and we'll eventually see the classic red horned outfit familiar to fans, but I was still impatient to see Daredevil in his prime and get the early stuff out of the way. The costume in the Ben Affleck movie had its flaws (as did the film itself), but I still enjoyed it as a well-intentioned example of the superhero genre before we entered the current Marvel Cinematic Golden Age. 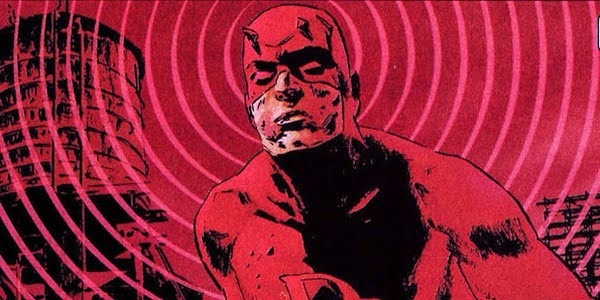 Let's hope the Netflix series captures the best of the comic books and avoids the pitfalls of the other prior adaptations that have kept audiences from fully embracing Daredevil as one of the most underrated characters in comic book history. thanks for this. i had forgotten to put it in my In the List or something section on netflix. but i very much want to check it out!!! We in be time MESS.